We went to the park this weekend. It has miles of trails. 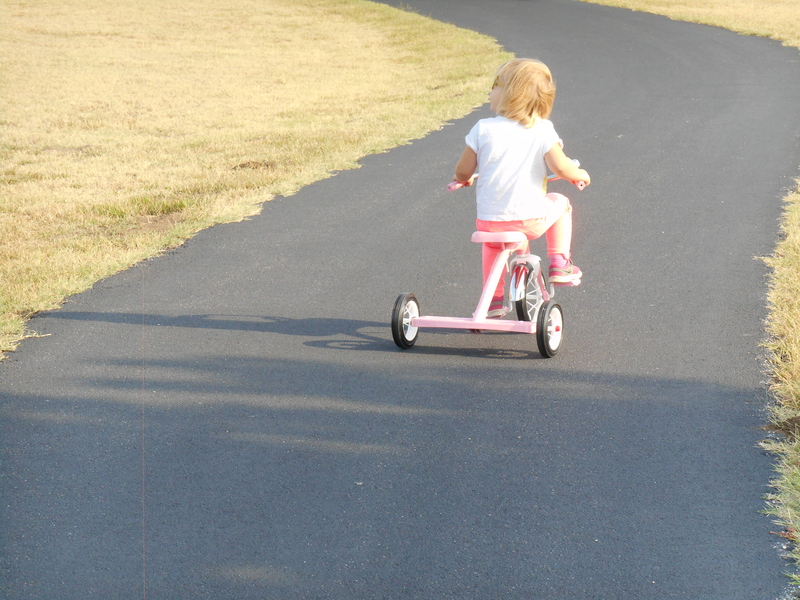 I thought instead of just walking, I’d let my daughter take her tricycle out for a spin. We usually only use the tricycle in the house because I’m not crazy enough to let four toddlers 3 and under outside with wheels. Next we just need to get a bicycle with training wheels, a bike for me and we can have a family biking outing. I’m looking forward to that.